With Palestinians refusing to work with the U.S., could a new peacemaker step in? Pope Francis delivers a speech from the balcony of St. Peter’s basilica on December 25 at the Vatican. In the past year, Abbas has encouraged many nations around the world to enter into diplomatic relations with the Palestinians. The last round of Israeli-Palestinian peace talks collapsed in May 2014. Despite frequently declaring their readiness to meet, Abbas and Israeli Prime Minister Benjamin Netanyahu have not held formal peace talks in several years: They last met in Jerusalem in September 2010. Since the Palestinians have made it clear they intend to establish a Palestinian state with a capital of Jerusalem and “will no longer work with an American-dominated peace process,” whom will they turn to? In 2014, Pope Francis made a historic visit to Israel. Although he was invited by Israel, he first flew to Jordan and spent most of his first day in Palestinian territories. The move of the embassy on May 14, 2018, angered the Palestinians and seemed to be the death of the peace process after Abbas declared they would no longer work with the Americans. But now it seems that the Vatican has reignited the coals of the peace process. Why is the Vatican so invested in the peace process? “The oldest political dictatorship on Earth is the Vatican!” proclaimed Herbert W. Armstrong in an October 1951 Plain Truth article titled “The POPE Plans to Move the Vatican!” He continued, “The Roman Catholic Church is far more than a religion. It is also politically a world power.” Isaiah 47:5 calls this church the “lady of kingdoms,” which rules over nations. “[T]he real objective of the Catholic political power is precisely the same as the goals of communism and fascism—to gain dominance, control and rule over the whole world!” wrote Mr. Armstrong. The Vatican is a dictatorship. It is literally a state, with political interests, foreign policy, sovereign independence, recognition under international law, official relations, diplomatic immunity, administrative departments, ambassadors, a central bank, a capital, a very centralized government—and a man who dictates. The pope is the head of 1.3 billion Catholic believers around the world. Catholicism is one of the world’s largest religions, compared to about 900 million Protestants and 1.8 billion Muslims. And because the Vatican is a political power, its own literal nation-state, the pope has a huge amount of political power. What is this “pro-Catholic” agenda? It is the Vatican’s desire to control Jerusalem. Jerusalem is considered a holy place by Catholics, Jews and Muslims alike. Both the Vatican and the Palestinians are using each other for their own ambitions to control Jerusalem. The Vatican considers Jerusalem the “center of the universe” and believes that conquering it makes Catholics righteous. In the mid-seventh century, the Catholics fought and were defeated in the Byzantine-Sasanian War. Some 60,000 Catholics were killed and 35,000 enslaved. They lost control of Jerusalem and many relics, including what they claim to be the true cross that Jesus Christ was crucified on. Some historians consider this the first crusade. The Crusade was the pope’s expression of his desire for Jerusalem and the instrument by which he attempted to control it. Soon they will push at the king of the north, the so-called Holy Roman Empire—the same religious power that was behind the Crusades. And that push will surely revolve around Jerusalem. Radical Islam, led by Iran, will antagonize the king of the north into this last crusade. Iran’s pushy foreign policy through state-sponsored terrorism, nuclear ambitions, control over maritime passages, disruption of crucial oil supply, and its ambition to control Jerusalem will provide the Vatican with exactly the rationale it needs to fuel its final crusade. 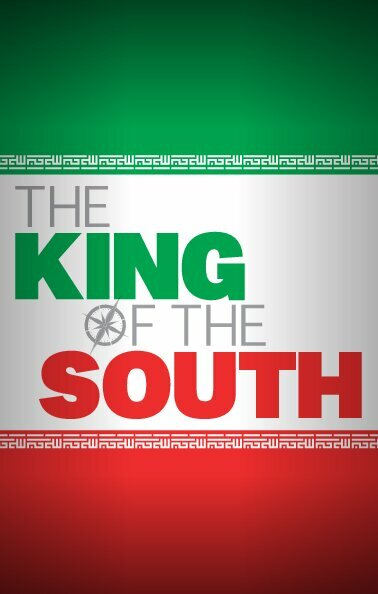 Click here to request your free copy of The King of the South or download online. The book of Daniel prophesied this last crusade (verse 41). The Catholic European empire will once again enter into the “glorious land.” But unlike the previous Crusades, this time will culminate in the coming of the Messiah to this Earth (Zechariah 14:4). He will restore order to Jerusalem, remove all rebellion from the world, and establish a kingdom that will stand forever (Daniel 2:44). For more information regarding this coming crusade, please read Mr. Flurry’s article “The Last Crusade” or Chapter 3 of The King of the South.